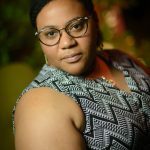 As Assistant Director for CRM, Kiva handles email marketing for members, ticket sales, and attendance driving efforts. She also oversees the health and data quality of the Wildlife Conservation Society's growing CRM system of donors, advocates, members, Zoo and Aquarium visitors, and partners. Kiva joined the Wildlife Conservation Society in 2015 after years of working and living in the beautiful cities of Johannesburg, South Africa and Sydney, Australia where she worked with international NonGovernmental Organizations on communications enablement and public relations initiatives. Outside of work she loves her blue tabby (Diaby), great Karaoke jams (Love Shack), and Pub trivia.